The projects took them to Italy, Switzerland, Germany, and England. The research offers new insights into the Renaissance, Protestantism, immigrant religiousness, monks, and begging practices. Eight graduate students from Notre Dame’s Department of History received competitive fellowships or grants in support of their research—awards including a Rome Prize, a Fulbright, and Louisville Institute, Newcombe, and Schallek fellowships. 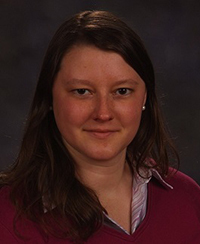 With a Newcombe Doctoral Dissertation Fellowship from the Woodrow Wilson National Fellowship Foundation, Ph.D. candidate Allison Edgren will complete her research on beggars and begging practices that developed in southern German towns during the 14th century. With the rise of urbanization came some of the first anti-begging laws and more sophisticated and deceptive begging practices. Edgren, Notre Dame’s second Newcombe winner in five years, spent the past year in German archives, examining literature, sermons, artistic depictions, and legislative histories that help characterize the approaches beggars used to seek handouts and the societal impression and reaction to such behavior. For Edgren, who has also been interested in the overlap of social and religious aspects of history, the topic is particularly fascinating. “The places that begging was being regulated—in front of or inside churches—were the prominent locations for almsgiving to the poor,” she said. “There are lots of complex push-and-pull tendencies shaping the landscape of charity. Ph.D. candidate Adam Foley won the Rome Prize fellowship, an honor presented to 29 artists and scholars by the American Academy in Rome. Foley is the second consecutive Notre Dame history graduate student to win a Rome Prize—following Ph.D. candidate David Morris last year—and fourth Arts and Letters student to receive the fellowship since 2006. 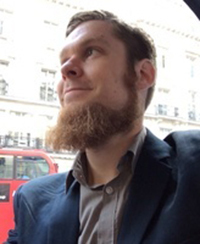 The fellowship supports Foley during his year living in Italy conducting research for his dissertation on the first translations of The Iliad and The Odyssey into Latin. Homer’s seminal works were largely unread and unknown in the Latin-fluent west throughout the Middle Ages, Foley said. But the Renaissance brought the Greek language to the Roman Empire, and the humanists began translating the great works of ancient Greece. Foley, who accepted the Rome Prize over a Fulbright Award, is also working on a parallel project to his dissertation, a book that will be published by Harvard University Press. He is translating the letters and correspondence of Manuel Chrysoloras—the Byzantine instructor who taught Greek to the first generation of humanists in 14th-century Italy—from Greek into English. 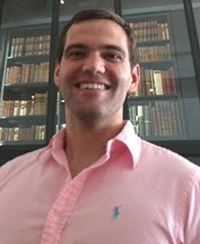 The recipient of a Louisville Institute dissertation fellowship, Ph.D. candidate Philipp Gollner will work to complete his research analyzing American immigrant religion in the 19th and 20th centuries. Through research on German, Swedish, and Norwegian sources from seminaries, congregations, and mission agencies, Gollner argues that immigrants from those countries used religion as a means to solidify the perception that they were “fully white” Americans. By examining the interplay between race, religion, and power between 1885 and 1914, Gollner hopes the question he poses can spark modern conversations about the same issues. “Various faith communities with immigrant roots are increasingly interested in examining what it means to be white in America today and in re-assessing the privilege that such a status affords to them,” he said. During his fellowship year, Gollner will present papers at Louisville Institute workshops as well as the International Association for the History of Religion and the American Academy of Religion. 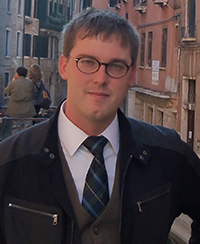 Winning a Schallek Fellowship, a dissertation award presented by the Medieval Academy of America and the Richard III Society, will enable Samuel Rostad to finish his research on preaching by Benedictine monks during the 14th and 15th centuries. He will travel to libraries in London and Oxford, studying manuscripts of sermons, manuals on how to compose sermons, and other monastic documents. While historians have noted the existence of such works from the later Middle Ages, they had previously not been examined in-depth, Rostad said. His research to date paints an uncharacteristic portrait of monastic life. “In theory, they’re supposed to be in the cloister, spending their whole day praying and not really talking to anyone,” he said. “But actually, they were quite gregarious—even drinking with local townspeople. Thanks to a Fulbright grant, Ph.D. candidate Kathryn Sawyer is spending a year at the Institute for Reformation History in Geneva, Switzerland, where she will conduct research for her dissertation on the Protestant church in 17th-century Ireland. Her research, which has also received grant support from the Keough-Naughton Institute for Irish Studies and the Nanovic Institute for European Studies, involves tracking how reformed theology traveled to Ireland and how its usage differed from other European areas. The grant will allow her to research sources in English, French, Latin, Italian, and Dutch, as well as interact with a community of scholars who are equally passionate about humanist studies. Other graduate students winning awards this year include Monica Bykowski, who received a dissertation fellowship from the Nanovic Institute for European Studies, a Foreign Language and Area Studies Grant from the U.S. Department of Education, and workshop funding from Humanities Without Walls. 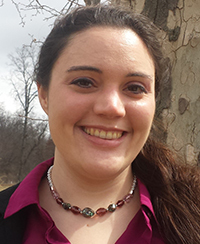 Jillian Plummer received a summer research grant from Loyola University Chicago’s Women and Leadership Archives. Michael Skaggs received a summer research grant from the American Catholic History Association. Winning any grant or fellowship is a major achievement, said Mike Westrate, program director for the Graduate School Office of Grants and Fellowships, and history students once again proved they compete at the highest levels for awards. More importantly, though, the process of applying proves to be a fruitful and worthwhile exercise, he said. “Students told me numerous times that, through applying, they had discovered and articulated—many for the first time—what their Ph.D. research will be, and how and when they will complete it,” Westrate said. “More importantly, several mentioned that they now also have a much better idea of why they work in their respective fields—writing a personal statement often has this effect.